Éric Belanger is Professor of Political Science and Director of the Quebec Studies Program at McGill University. Though centered around Quebec and Canadian politics, his research focuses on the general themes of political parties, public opinion, and voting behaviour using a variety of quantitative methods. Some of his prior research has been concerned with economic voting and Quebec provincial elections. 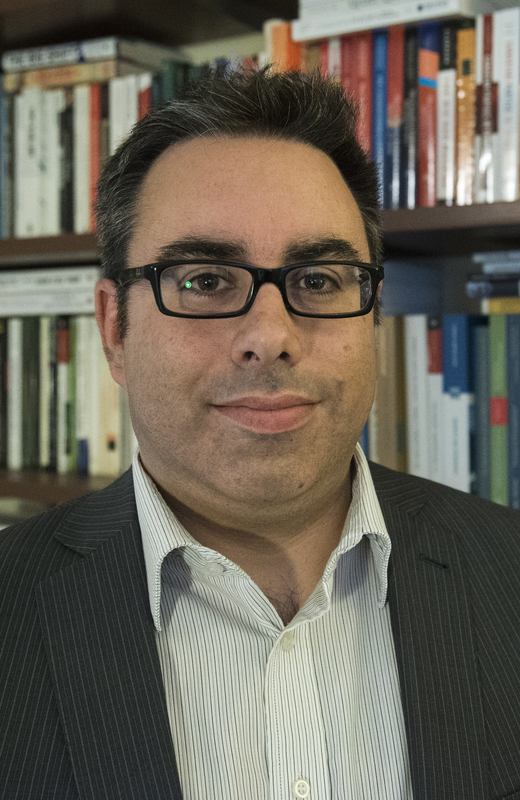 He is also involved in research projects studying voting behaviour in Latin America, as well as a comparison of nationalism in Quebec and Scotland. Axis 2: Practicing Citizenship in a Skeptical World - The practice of democratic citizenship is undergoing a multifaceted transition. There are fundamental changes in conceptions of democratic citizenship and in its practice as well as the targets of citizen action. Scepticism about representative democracy as a system of governance is growing and citizens across established democracies are withdrawing from politics. Their perception about the political world is impacted by transformations in the news media practices and by online content, including social media. Voting and party politics have been the basis of conventional interpretations of citizenship, but there is ample evidence that this conception is much too limited. New forms of communication are providing citizens with novel ways to gather information and to engage in politics. Axis 3: Representing and Governing Citizens in Critical Times - After learning and practicing democratic citizenship, the next critical steps are representation and governance. Democratic institutions are key elements. They shape the norms and incentives for active citizenship and they link citizens and their representatives in ways that foster accountability, legitimacy and representation. In Québec and Canada, as well as in other countries, confidence of citizens toward the institutions is low, as many dislike the way that members of parliaments behave and consider that politicians dont honour their promises, hence various political endeavours to reform these institutions. Research on this axis will focus on the role of electoral systems, parliaments, parliamentary debates, and political parties. My master's thesis explores the relationship between the use of microtargeting by political parties and partisan attachment. Many scholars make the assumption that exposure to communications that are congruent with voters ideology or interests, a key component of microtargeting, can increase partisan polarization. We provide a first empirical test for this argument focusing on the 2015 Canadian election. A new index based on voters predicted participation and level of support for parties that have contacted them is used as a proxy for microtargeting. According to the evidence reported, microtargeting doesnt impact the perception of differences between parties. However, it increases the strength of voters party identification and significantly reduces the probability that they change their vote choice during the campaign. Microtargeting can thus lead to the creation of stronger bonds between citizens and parties and make voters less likely to defect from their party. Le gouvernement Charest a-t-il été aussi mauvais qu'on l'a dit? Le gouvernement Charest a-t-il tenu ses promesses? Explaining the Rise of the LPF: Issues, Discontent, and the 2002 Dutch Election. La montee des tiers partis au Quebec a l'election de 2007: conjuncture ou tendance? Third-Party Support in Canadian Elections: The Role of the Economy. Campaigns and the Prediction of Election Outcomes: Can Historical and Campaign-Period Prediction Models Be Combined? Is the Independence Issue Back on the Agenda in Quebec? How Sophisticated Can a Voter Be to Make Causal Attributions? A Response to Gomez and Wilson's Comment. Comment expliquer la vague orange du 2 mai au Québec? Débats télévisés et évaluations des candidats: la représentation visuelle des politiciens canadiens agit-elle dans la formation des préférences de l'électorat québécois? Why do Parties Merge? The Case of the Conservative Party of Canada? Le vote économique en contexte de crise financière : le cas de lélection provinciale québécoise de 2008. La montée des tiers partis au Québec à lélection de 2007: conjoncture ou tendance? ``Legislative Turnover in the Canadian House of Commons (1867-2008)." Conference Name: Annual Meeting of the American Political Science Association. Does a Growing Income Gap Affect Political Attitudes? French Popularity Functions: Different Measures, Different Determinants?